Sugar cravings are not a natural phenomenon of a human body and it is not even rare. Sugar indulgence can lead to deficiency of certain essential nutrients and vice versa. It can also lead to weight gain in children as well as adults and can be a reason for lifestyle disorders like insulin resistance, obesity, pre diabetes leading to Type 2 diabetes. Diet & lifestyle measures like exercise and sleep can help us deal with these notorious cravings and keep them at a bay. Food supplements consisting of zinc, magnesium, chromium etc. also regulate food intake thereby controlling unwanted food or sugar cravings helping us control high fasting and post prandial blood sugars, insulin resistance and preventing onset of symptoms and complications related to Type 2 Diabetes. In the world of pancakes and waffles, it is very likely to get sugar cravings. Not only people suffering from diabetes, but also non diabetics have a tough time to keep these cravings at a bay. 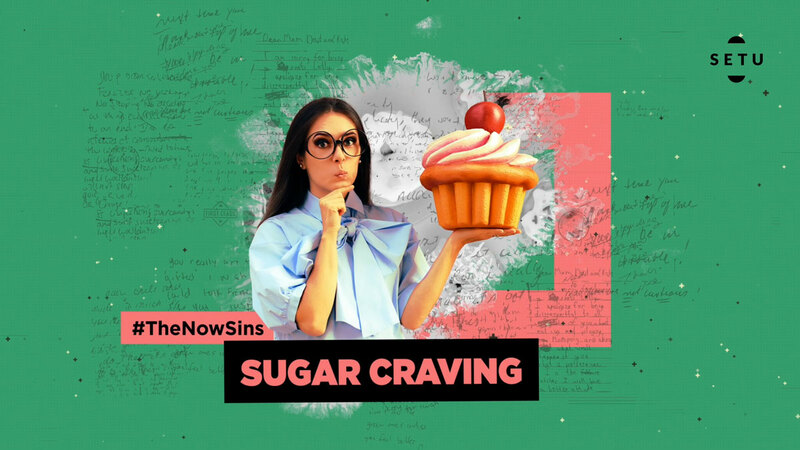 Sugar cravings are largely a psychological phenomenon that relates to old habits and learning. Did you know?? Sugar is as addictive as Drugs!! Sugar is noteworthy as a substance that releases opioids and dopamine and thus might be expected to have addictive potential. Sweet taste is naturally given preference by human beings. Carbohydrates, especially sugar helps in releasing a feel good chemical called serotonin from our brain cells. It also helps in releasing calming & relaxing substances called endorphins which give us a feeling of being a happy high. ● Hunger: Craving sugar might mean your body need fuel- it needs to be fed. Many times we don’t have our meals on time, which can lead to sugar cravings. ● Psychological reasons: Boredom, stress, pain, fear, anxiety etc. emotional triggers can result in sugar cravings. People suffering from depression tend to over eat and hence suffer from sugar cravings. ● Easy access: Proximity to sugary items can trigger. It can be presence of cookies in office drawers or a jar full of candies in the nearby kiosk at your workplace. ● Magnesium deficiency can lead to chocolate craving. Magnesium is also known as the “relaxation mineral” because deficiencies in magnesium cause irritability, anxiety, high blood pressure, and even insomnia. That’s why people who are deficient in magnesium often feel better when they eat a chocolate bar. The cacao in chocolate is the source of magnesium. ● Deficiency of Chromium (which regulates blood sugar levels), Phosphorous (helps in cellular metabolism to provide energy), Sulphur (helps in removing toxins from body), Tryptophan (precursor of neurotransmitter- Serotonin ) can also lead to sugar craving. ● PMS Cravings- Zinc deficiency leads to this. ● Greed- Over eating- availability of big portions. Obesity & Type 2 Diabetes is a disease of the Rich & Not the poor!! ● Sleep deprivation also leads to sugar craving. ● Understand difference between hunger and appetite. Hunger is more physiological while appetite is more psychological. So next time if you are craving something, ask yourself if you are really hungry or just imagining or “craving” food. ● Understand your emotional triggers: Let’s not use food/sugar for comfort. ● Eat a little- once in a while indulgence is not a bad thing. Control the portion and enjoy your once in a while treat. Yes, you got me right- even with diabetes you can enjoy your little treat, make sure you burn it all out and do try and maintain your blood sugar levels in range. ● Choose wisely- Dark chocolate is a better option than white/ milk chocolate. Opt for foods with natural sugar like fruits, dates, fig which will help you to satisfy your sugar cravings. ● Keep yourself busy- Take a walk, clean cupboards, listen to music, pursue your hobbies, read books, dance your heart out… do whatever makes you busy and happy. ● Eat by the clock- Don’t starve yourself. Eat balanced meals on time. Choose a perfect combination of protein, carbs, fats, minerals and vitamins. Drink plenty of water. 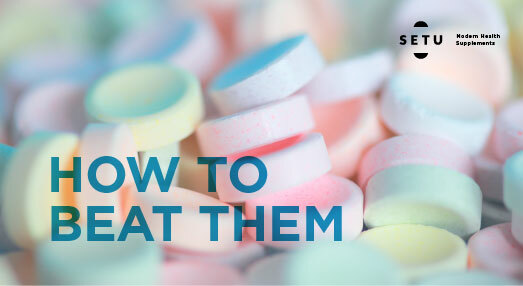 ● Skip artificial sweeteners- Although, they don’t give you calories as such, but artificial sweetener mixed with cream will definitely give you calories and sweet tooth! ● People with diabetes should also check their blood sugar (SMBG- Self Monitoring of Blood Glucose) frequently in order to differentiate between low glucose and a craving. Be sure to always carry your glucose meter with you and test when you can’t tell if your craving is actually low blood glucose. ● Sleep well- an adult brain needs 6-8 hours of sleep. So sleep tight! ● If required—GO COLD TURKEY!! ● Zinc supplementation has beneficial effects on glycaemic control and promotes healthy lipid parameters. ● Chromium supplementation helps beat depression, plays a beneficial role in improving insulin sensitivity and controlling blood sugar levels. It regulates food intake and decreases hunger, reduces fat and sugar cravings, lowering body weight thereby controlling onset of Type 2 Diabetes or other lifestyle disorders. ● Higher intake of magnesium plays a protective role in reducing risk of developing type 2 diabetes, especially in obese women, a study suggests. Magnesium deficiency is one of the cause of insulin resistance in obese children. Certified Diabetes Educator (Academy of Nutrition & Dietetics, US).